G179.0+2.6 supernova remnant is a fairly large (70 arc minute) radio remnant with no documented optical counterpart. 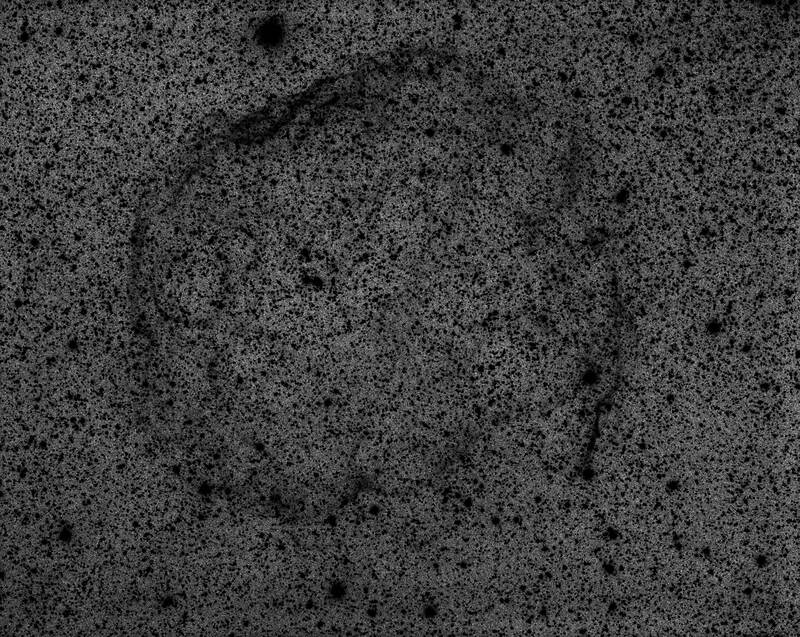 A few test shots with both Ha and OIII indicated that the OIII was more interesting. I returned with a long integration of 22x1500s ( 9 hours ) which shows a very faint low contrast distorted ring of OIII emission coinciding with the radio remnant coordinates. This optical counterpart is clearly coupled to the radio remnant.